We need many volunteers! Email Melissa Libert if you're interested in helping out. This is our 18th annual FREE concert with a lineup that'll get this street party rockin'. 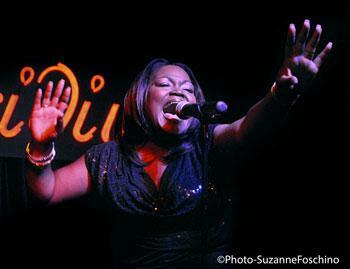 Headliner Shemekia Copeland is royalty for blues lovers. She's raucous, gutsy, soulful and loaded with emotion as she belts out contemporary blues, roots music, Americana, and blues classics. Sammy Miller and The Congregation play feel-good party jazz that's as entertaining as it is musically virtuosic. This is brass, keys, and drums to make you stomp your feet and dance, and it's got the raw, uplifting vibe of a New Orleans street parade. 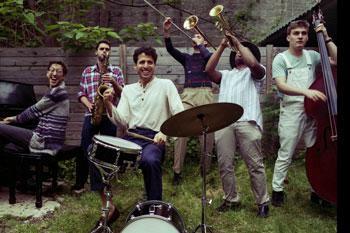 They start with old-timey, roots, and blues-based jazz, and put the Sammy Miller spin on it. They're young and full of energy and you'll remember them for years to come. We like to kick off the party with an outstanding local band. 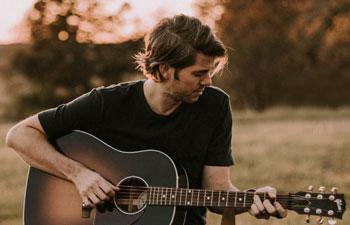 This year talented singer-songwriter Dan Hubbard starts things cooking with his country-tinged roots rock and warm, charming stage presence. Dan and his band perform Hubbard's original songs that weave the stories of our lives, as well as classic roots music. Grounds open at 3:30 p.m., with a walk-around beer/wine garden and food vendors. The music starts at 5. Artists will have CDs available and are always happy to sign autographs. They'll be under the GLT tent right next to the stage. This is an outdoor, rain-or-shine event, so be sure to dress for the weather. Bring your own lawn chair and comfortable shoes. The City of Bloomington continues to support our efforts in any way they can. We so appreciate their trust in GLT and our listeners with a walk-around beer/wine garden. Remember that only alcohol purchased at our festival is allowed. And, please, for their comfort, leave pets at home. Many thanks to our Presenting Sponsor.